Thousands of rural landholders across Australia have entered into permanent conservation agreements to protect Australia’s unique flora and fauna. By turning their properties into privately protected areas (PPA), landholders are providing stewardship of our natural heritage that benefits society. But how can we as a society better support these landholders? Lab members Matthew Selinske, Mat Hardy, and Ascelin Gordon provide some answers to this question in a recently published policy brief Supporting the long-term stewardship of privately protected areas. PPAs are an increasingly popular approach in global conservation efforts, and Australia has one of the largest PPA networks in the world. Recently, the IUCN PPA Specialist Group met in Germany to develop best practice guidelines, which will serve as a guide to how PPAs are implemented in the future. There are several key elements to PPAs – identifying land with conservation value, protecting it, and then looking after it with appropriate stewardship. Landholders enroll in PPA programs for varying reasons, but beyond the initial sign up, supporting them is important for ensuring ongoing stewardship. 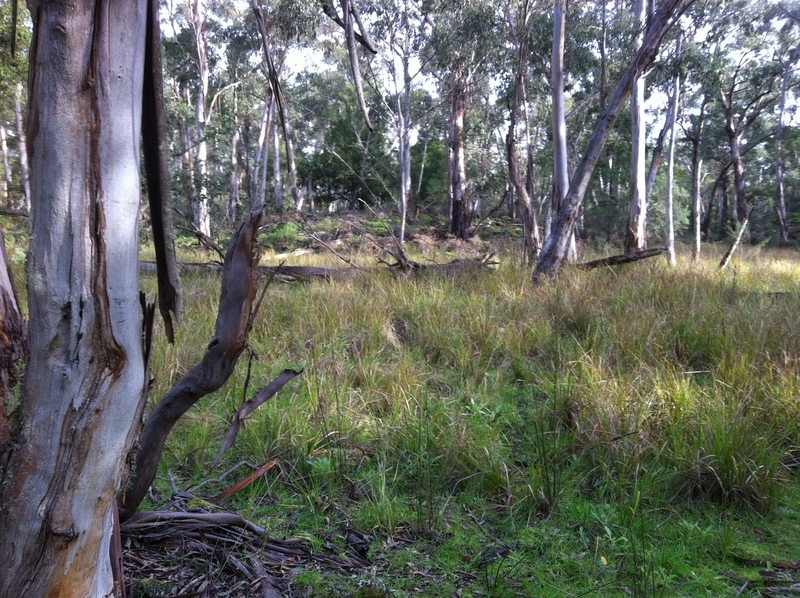 PPA landholders are diverse and the landscapes in which PPAs sit are dynamic. Properties change ownership over time, and as the needs of landholders change, stewardship of PPAs is best supported through multiple policy mechanisms. The concept of intergenerational stewardship is critical to the long-term effectiveness to PPA programs, and can assist in meeting the challenges facing PPAs. This policy brief explores the key drivers of landowner participation in PPA programs (i.e. covenants, easements, servitudes and other long-term agreements with individuals or groups of landowners) and the program mechanisms that maintain successive generations of landowners to be engaged and committed to long-term stewardship. It also considers the challenges faced by PPA programs in developing and maintaining strong collaborative arrangements between the stakeholders involved in these programs. Also, keep an eye out for the September issue of Decision Point where the ICSRG lab discusses PPA stewardship in greater detail. This entry was posted in New paper and tagged land stewardship, nature, people, Private land conservation, privately protected areas on September 4, 2017 by mselinske. The American conservationist Aldo Leopold wrote about the importance of practicing a ‘land ethic’, adopting personal responsibility for the health of the land – the soils, waters, plants and animals of a place – for the good of the community. Private land stewardship, caring for native flora and fauna on one’s property, has long been promoted in rural settings as a valuable contribution to conservation. By contrast in cities, conservation activities and research have focused on public land. Indeed, it has been suggested that urban landowners are unlikely to demonstrate the levels of land stewardship found rurally for lack of opportunity or the stronger place meanings and sense of place found in the country. I interviewed 16 members of a municipal wildlife gardening program (Knox Gardens for Wildlife) in Melbourne Australia to understand how participation affected their reported gardening purpose and practice, and attachments to place and nature. Using inductive analysis and a definition of land stewardship derived from Aldo Leopold that includes purposes as well as activities, I developed a model for the development of urban land stewardship (below). It includes an initiation phase that introduces participants to stewardship and their potential to contribute, followed by a development phase where connections to place deepen; stewardship knowledge, competences and activities strengthen; and commitment to stewardship increases. Results show that urban wildlife gardening programs can foster residential land stewardship through learning by doing. Visible community involvement and endorsement of one’s contribution are key, and connections to nature, place and community occur as part of the process. You can read the article here or feel free to email me at laura.mumaw@rmit.edu.au for a copy. This entry was posted in New paper, urban green spaces and tagged gardening, land stewardship, nature, Private land conservation, urban greening on July 6, 2017 by lmumaw. 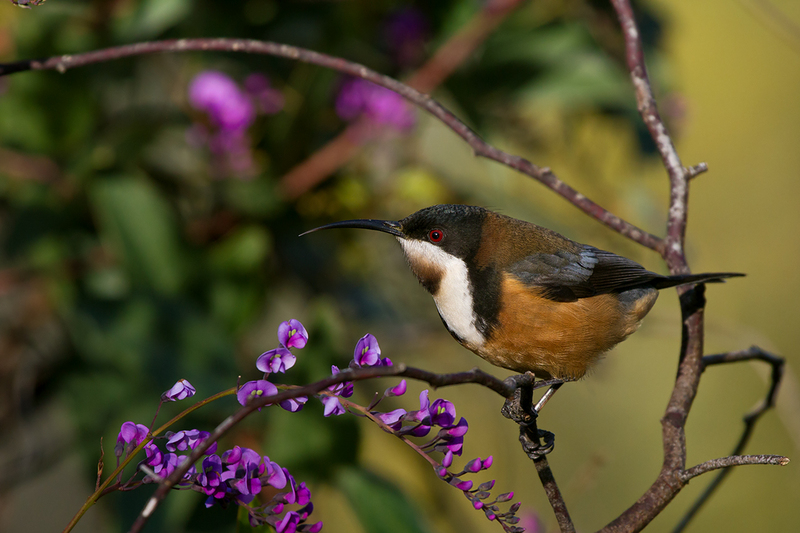 In this article we explore how the Knox Gardens for Wildlife program, a collaboration between a municipality (Knox City Council) and community group (Knox Environment Society) in greater Melbourne involves residents in gardening to help conserve indigenous biodiversity. We used semi-structured interviews and Council survey data to identify key program features that engaged and supported members to modify their gardening: on site garden assessment; community nursery; communication hubs; a framework that fosters experiential learning and community linkages; and endorsement of each garden’s potential contribution. We discuss the implications for managing urban landscapes for biodiversity conservation. Click here for the full article or feel free to email me at laura.mumaw@rmit.edu.au for a copy. Mumaw L, Bekessy S. (Online) Wildlife gardening for collaborative public–private biodiversity conservation. Australasian Journal of Environmental Management. This entry was posted in New paper and tagged Biodiversity, cities, conservation, gardening, wildlife on April 18, 2017 by Luis Mata. Politics and context matter for conservation policy. That is why our research group, in collaboration with Brian Coffey and Lauren Rickards from RMIT University’s Centre for Urban Research, has just published a collective reply to Peter Kareiva and Emma Fuller’s article in Global Policy. In brief, we argue that Kareiva’s and Fuller’s proposal does not sufficiently consider the core challenges faced by biodiversity conservation researchers and practitioners in this time of dramatic change, for people and nature. Conservation issues are context-dependent: ecological, economic, social, ethical and political. Embracing and responding to this complexity is a necessity when conceiving potential solutions for the future of conservation, humans and the biosphere. While some of the approaches the authors promote may work in particular situations, we believe their proposal risks unintended and detrimental social and ecological consequences by presenting them as global solutions to complex problems that are context-dependent. In particular, their proposal does not address some of the key causes of biodiversity loss, i.e. over-exploitation of natural resources, intensive agricultural activity, urban development, and pollution. These causes are accepted as fait accompli and their mitigation as potential conservation strategies is not considered. New technologies and ‘managing for evolution’ are presented as guiding principles for any context, which is problematic. Moreover, the questions around what should be conserved, the processes by which biodiversity is valued, and who has the legitimacy to value it are not addressed. Lastly, we argue that a one-size-fits-all utilitarian approach and a neoliberal governance model, as proposed by Kareiva and Fuller, risks poor involvement or opposition from communities and societies and may undermine their traditional structures and relationships with nature. If you can’t access the paper using this link please send me an e-mail (florence.damiens@rmit.edu.au) and I will send you the pdf directly – thanks! This entry was posted in New paper, Opinion, Uncategorized and tagged Biodiversity, conservation, nature, people, policy, politics on March 15, 2017 by Luis Mata. Over the last few years we have learned a lot about the reliability of scientific evidence in a range of fields through large scale ‘meta-research’ projects. Such projects take a scientific approach to studying science itself, and can help shed light on whether science is progressing in the cumulative fashion we might hope for. One well known meta-research example is The Reproducibility Project in Psychology. A group of 270 psychological scientists embarked on a worldwide collaboration to undertake a full direct replication of 100 published studies, in order to test the average reliability of findings. Results showed over half of those 100 replications failed to produce the same results as the original. Similar studies have been conducted in other fields too—biomedicine, economics —with equally disappointing results. It’s tempting to think that this kind of replication happens all the time. But it doesn’t. Studies of other disciplines tell us that only 1 in every 1,000 papers published is a true direct replication of previous research. The vast majority of published findings never face the challenge of replication. As yet, there have not been any meta-research projects in ecology and evolution, so we don’t know whether the same low reproducibility rates plague our own discipline. In fact, it’s not just that the meta-research hasn’t been done yet, it is quite unlikely to ever happen, at least in the form of direct replication discussed above. This is because the spatial and temporal dependencies of ecological processes, the long time frames and other intrinsic features make direct replication attempts difficult at best, and often impossible. But there are real reasons to be concerned about what that meta-research would show, if it was possible. The aspects of the scientific culture and practice that have been identified as direct causes of the reproducibility crisis in other disciplines exist in ecology and evolution too. For example, there’s a strong bias towards only publishing novel, original research which automatically pushes replication studies out of the publication cycle. The pragmatic difficulties of experimental and field research mean that the statistical power of those studies is often low, and yet there are a disproportionate number of ‘positive’ or ‘significant’ studies in the literature—another kind of publication bias towards ‘significant’ results. The rate of full data and material sharing in many journals is still low, despite this being one of the easiest and most obvious solutions to reproducibility problems. In our paper, we argue that the pragmatic difficulties with direct replication projects shouldn’t scare ecologists and evolutionary biologists off the idea of meta-research projects altogether. We discuss other approaches that could be used for replicating ecological research. We also propose several specific projects that could serve as ‘proxies’ or indicator measures of the likely reproducibility of the ecological evidence base. Finally, we argue that it’s particularly important for the discipline to take measure to safe guard against the known causes of reproducibility problems, in order to maintain public confidence in the discipline, and the important evidence base it provides for important environmental and conservation decisions. This entry was posted in New paper and tagged metaresearch, reproducibility on February 8, 2017 by ascelin. For those of you who don’t have time to read it, I shall provide a synopsis. Private land is home to some amazing and important species and ecological communities, some of which are only found on private land. And the success of our efforts to conserve nature on private land is intrinsically linked to the engagement of willing landholder participants. Despite much research the influences on landholder participation, studies show that only a small proportion of landholders tend to participate in private land conservation (PLC) schemes (these include things like management agreements, conservation covenants and stewardship payments). And although there has been widespread implementation of PLC policy instruments, success at engaging rural landholders in conservation initiatives has been mixed. Presumably, convincing landholders as to why they should participate in private land conservation is an important part of getting more people involved. So we looked at how contemporary communications from the sector currently communicate the benefits of participation to landholders to see how this was currently done. We used a value orientation framework to analyse how the participation benefits of Australian PLC schemes are framed. Value orientation refers to the way that people weigh different interests when making decisions. These consist of egoistic, social-altruistic and biospheric orientations. Egoistically oriented people tend to weigh the cost and benefits to themselves personally; social-altruistically oriented people tend to weigh the costs and benefits to others; and biospherically oriented people tend to weigh the costs and benefits to the biosphere as a whole. Of course people do not act perfectly according to any particular orientation, but in this case it serves as a useful framework to understand what’s currently happening. By analysing the way benefits of PLC are framed in communications, we can gain insight into the breadth of the audience likely to be engaged. So we analysed the website content of 20 of the most notable Australian PLC schemes and categorised the benefits mentioned on these websites as being either benefits to the landholder, to society, or to the environment (these categories corresponding to the value orientations described above). Although landholders get their information from a range of sources (neighbours, extensions officers, field days), websites are often visited to get more detailed information about specific programs. Our thinking was if PLC communications are to be relevant and engaging to as broad a range of landholders as possible, these three different kinds of benefits should all be well represented across these websites. Our results suggest a heavy reliance on environmentally-themed messages which is unlikely to engage landholders who are more egoistically oriented. This was particularly the case with market-based schemes, that you can imagine ought to appeal to production-focussed landholders and those not already involved in conservation. So what does this mean, I hear you think. We argue that perhaps framing the benefits of PLC more broadly (covering the different value orientations) would engage a greater diversity of landholders, aiding PLC recruitment. In particular, increased use of landholder and society benefits may be advantageous in engaging a wider range, and greater number of landholders. However, we caution that any promised benefits must be achievable; over-promising and under-delivering could be a sure-fire means of permanently deterring the participation of many landholders. We also need further research about the potential for unintended feedback effects, for example, the potential for motivational crowding in messages that focus on landholder benefits. This is not a definitive statement on how PLC benefits are framed, or even how they ought to be framed, but a first step in understanding how they might be strategically re-framed for better effect. As a first step, we simply urge PLC programs to be aware of the value orientation frame implicit in their messages, and to consider whether this is a good match for their audience and their program’s goal. Best practice in any case will be determined by the context. Kusmanoff, A., M., Fidler, F., Hardy, M., Maffey, G., Raymond, C., Reed, M., Fitzsimons, J., and Bekessy, S. (2016) Framing the Private Land Conservation Conversation: Strategic framing of the benefits of conservation participation could increase landholder engagement. Environmental Science and Policy. 61: 124 – 128. This entry was posted in New paper and tagged Private land conservation on April 28, 2016 by mselinske.